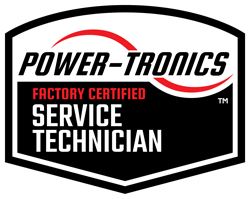 Online Request for Application Assistance | Power-Tronics, Inc. Please fill out the form below and enter as much information as you can about your application. Fields marked with a red asterisk are required for assistance. If there is not enough basic information via your form submission for us to be able to help you, we will contact you to request more information about your application. Generator Wiring Configuration:* Select one here 120 2 lead 120/240 4 lead 120/240 zig zag 120/240 double delta 120/208 10 lead 120/208 12 lead 208/416 12 lead 120/240 Delta 12 lead 480 Delta 3 lead 480 Wye 4 lead Other, explain in comments section Click here if you do not know. Type of Generator:* Select one here Rotating field (Brush type) Rotating armature (Brush Type) Compound rotating armature (Brush type) Brushless generator Brushless generator with PMG Brushless generator with AUX winding Rotating transformer (Self regulated) Other, explain below in comments section. Click here if you do not know. Type of Organization:* Select Type Certified PTI Service Technician Electrical Generator Service Electrical Generator Parts and Supplies Switchboard Manufacturer / Service Municipality Electrical Power Producter OEM Manufacturer Government Other If "other", explain in the comment section below.